When I found out about Recover Brands sustainable fashion line, I was excited. When I found out that they live and work just miles from my home, I was ecstatic. I love finding ethical companies that make sustainable fashion – and do it well. Especially when the price point is right. And Recover Brands is ALL of that! Crafting recycled plastic bottles into fibers to make sustainable clothing, Recover Brands is a Charlotte, NC based American company creating ethical fashion while doing good. I am happy to help support their crowd-funding campaign to help protect the National Park System, which is now under constant attack from developers and energy companies, even though the National Parks are enjoying record attendance and clearly are a unique destination for people from around the world. 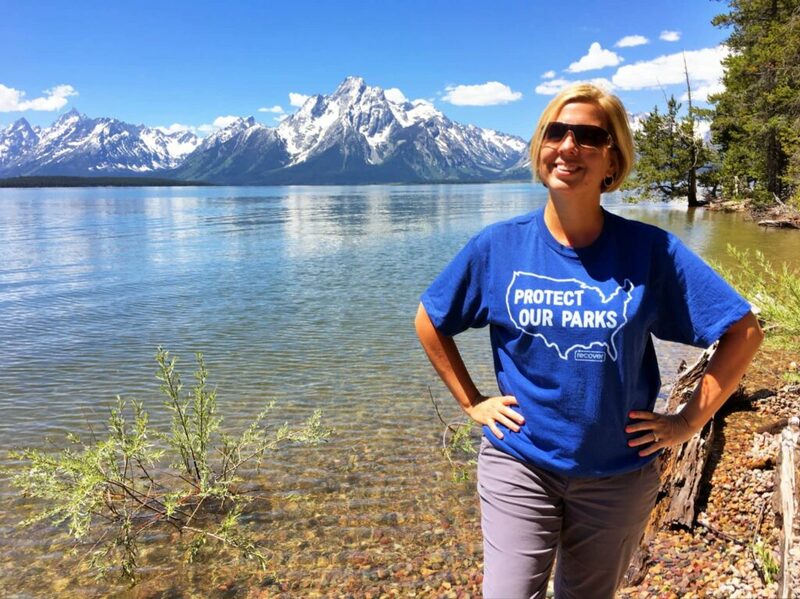 Their Protect Our Parks t-shirts are a limited time crowdfunding campaign, with portions of the proceeds ($5) going to the National Park Foundation. The sustainably made t-shirt is $20. I fell in love with the concept of their sustainable clothing line immediately. 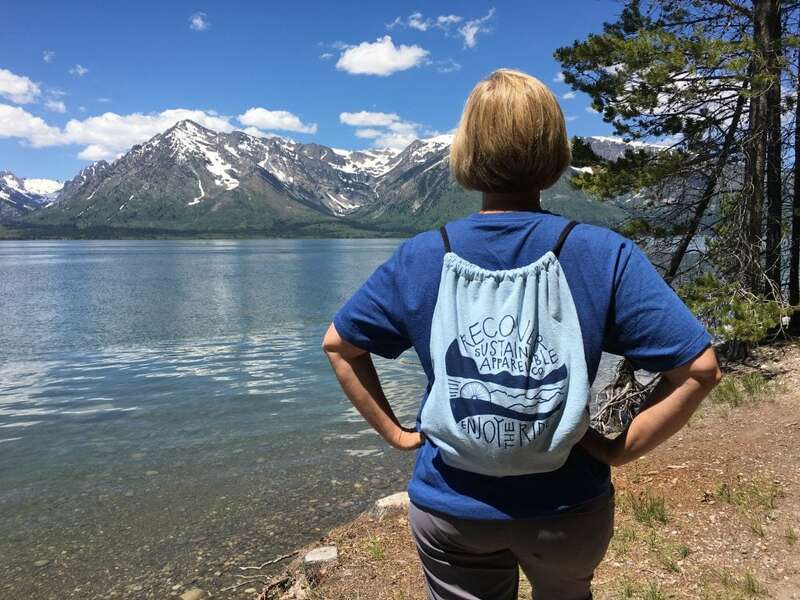 When I started browsing their products and saw t-shirts dedicated to places that I know and hold dear in my heart – such as DuPont State Forest, Pisgah Forest and the Grand Tetons, then I knew that I liked this company even more. Recover Brands can make one shirt out of 8 recycled plastic bottles. Pretty cool! Plus, they use cotton industrial scraps to add to the fiber content of their sustainable t-shirts, polo shirts, hoodies and more. Even their packaging is crazy sustainable. The shirt and backpack arrived in a brown paper envelope, and the plastic bag protecting the shirt inside is entirely compostable! Their clothing is made in North Carolina, as well as in co-ops in Haiti and Guatemala. 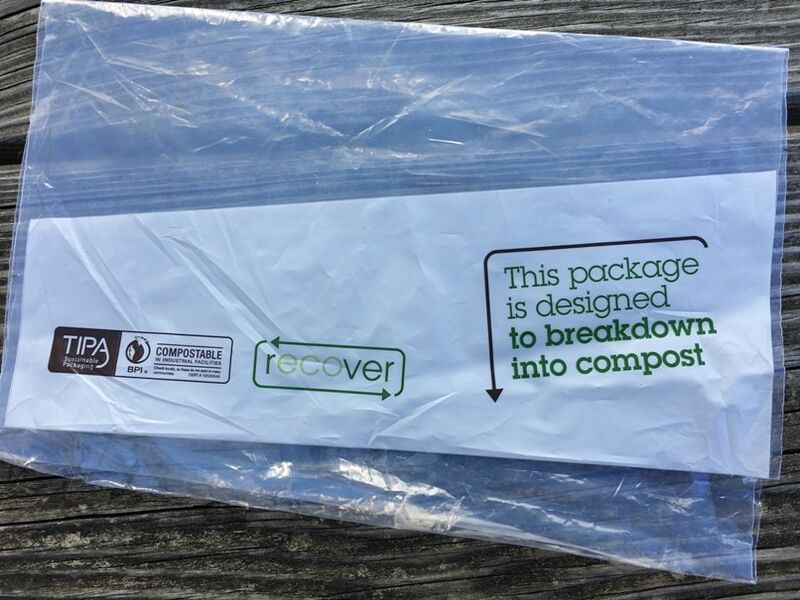 Recover Brands doesn’t only make clothing out of recycled fibers. They use recycled bike tubes, as well, to craft unique backpacks. I love how sustainability has become the fashion now, rather than just something that a select group of people endorse. Though it would be great if more people understood just how harmful plastic is and how useful it would be to go solar rather than stick to fossil fuels, nevertheless any conversation is good conversation in my book. Love the t-shirts!